It would be great to see very talented actor Isaiah Washington make it back to the small screen after his controversial "blacklist" from hollywood. He did a superb job in the biopic film about the D.C. Snipers called "Blue Caprice". Monique and he together make a great acting duo on screen together I think. 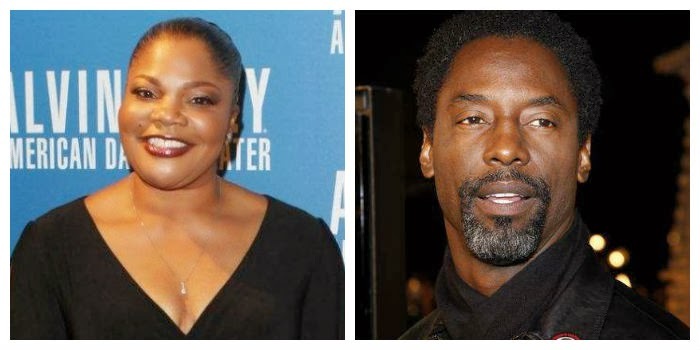 Peep the details..
*Isaiah Washington and Mo’Nique have signed on to star in the independent film “We Are Family” for writer-director Choice Skinner, who is also producing alongside the two actors. The plot follows five siblings and flashes back between their childhood and present day over a 25-year span, reports Deadline.com. Now estranged adults, they reunite during the funeral of their alcoholic father and arrest of a brother who is charged with his murder. Washington will play the father. Orlando Jones and Daniele Watts co-star, and production kicks off this spring in Michigan. Washington’s Coalhouse Productions in producing with Skinner for Darkan Entertainment, Noam Dromi for Driveby Entertainment and Sidney and Mo’Nique Hicks’ for Hicks Media Productions.